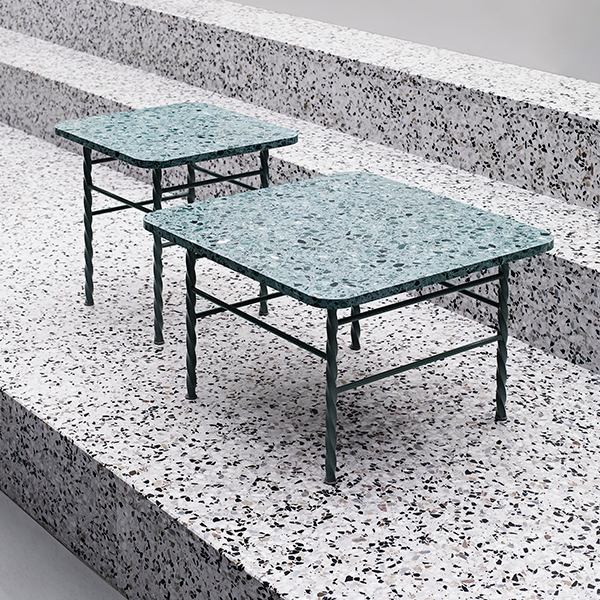 The Terra tables from Normann Copenhagen feature delicate metal legs and a top made of solid terrazzo. 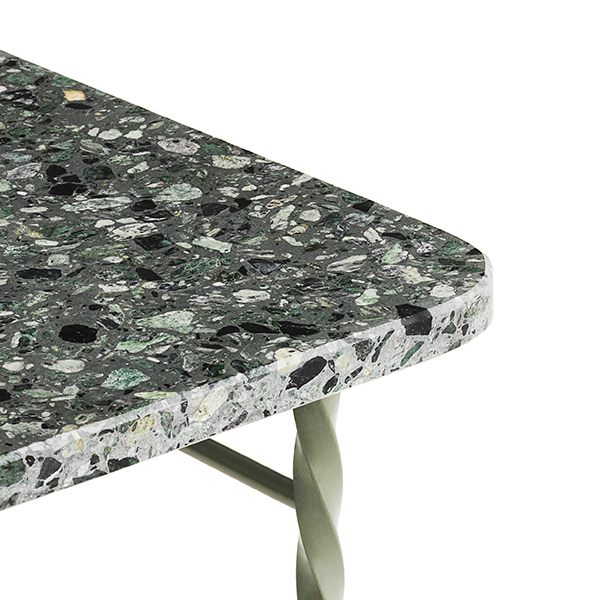 Designer Simon Legald fell in love with the lively material, when he visited a small terrazzo factory that uses traditional Italian techniques. 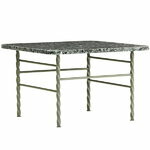 The colourful stone chips settle in the cement in a random order, which makes the top of each Terra table unique. 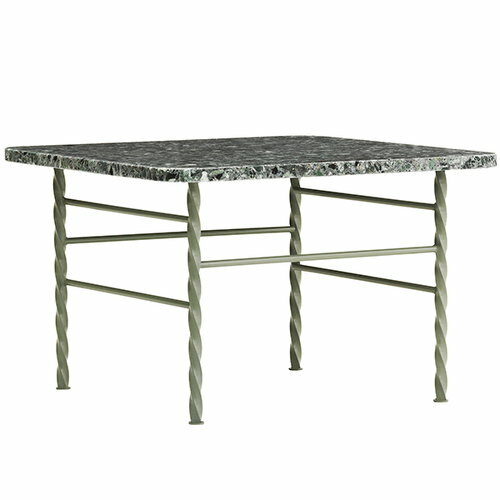 The legs, inspired by Southern European crafts, are made of galvanized steel and powder coated to match the colour of the terrazzo. Terra is a collection of small elegant tables that can be used both indoors and outdoors: the low, wide table makes a great coffee table, and the high, narrow one an ideal side table or plant stand. Clean with a damp cloth. Avoid using detergents that degrease or contain acids. Thorough cleaning and maintenance with soft soap or soap flakes.